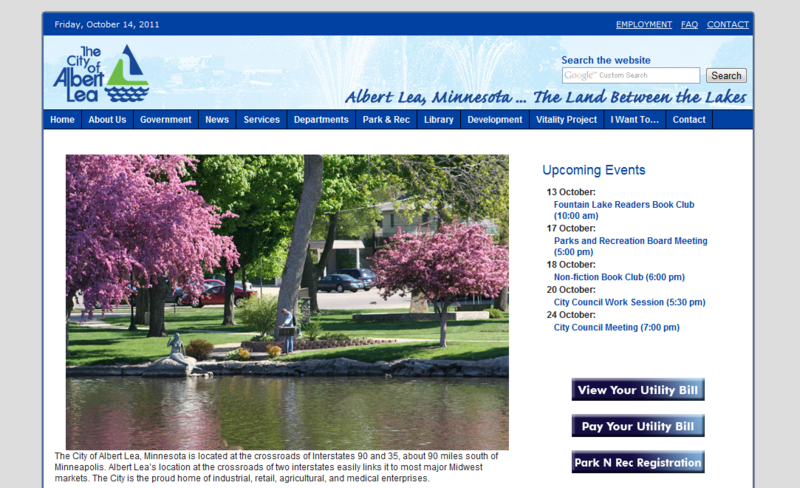 The official homepage for the city of Albert Lea, Minnesota. Albert Lee is a mid-sized city of about 20,000 residents. Their governmental homepage is a central landing for all official information, including departmental websites, news, contacts, and even utility services and development projects. 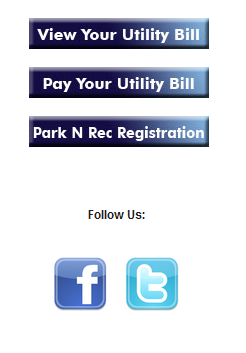 The site has a friendly, utilitarian feel. The blue background and menus are complemented by the choice of photo used as a homepage design anchor. Every possible choice for what a user may want to do is at the top menu, by category. There is even an “I want to…” option, for the most commonly sought-after departments (such as pet licensing and utility bill lookup). Technologies used: The site is designed entirely in WordPress as CMO (with CSS), on an AJAX platform.